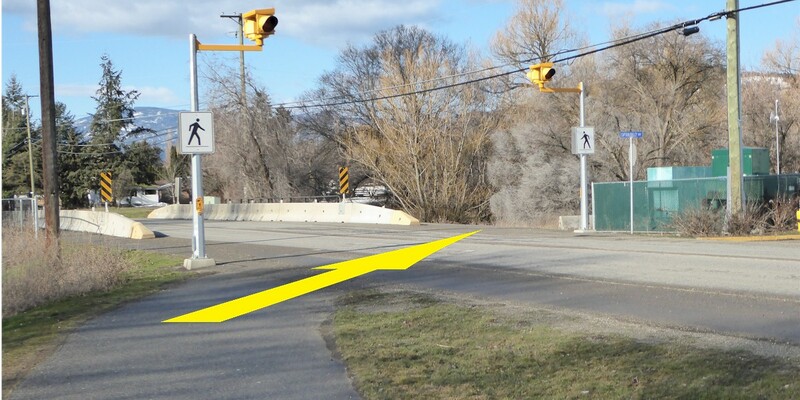 From the Rec Centre you will be travelling south to get onto the 25th Avenue multi-use trail. 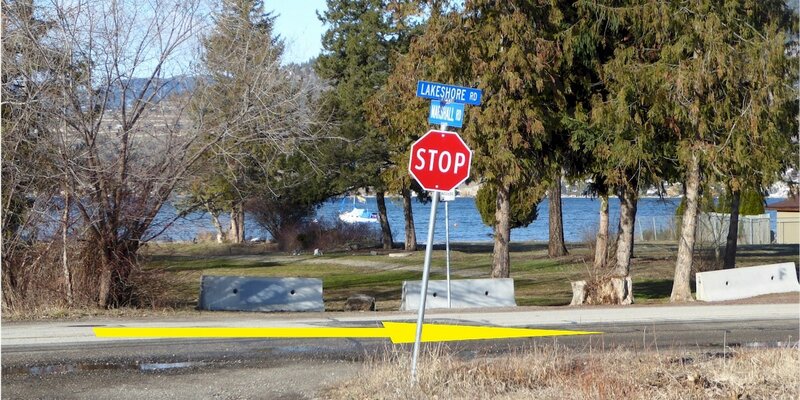 From there you will ride west to Kin Beach on Okanagan Lake. 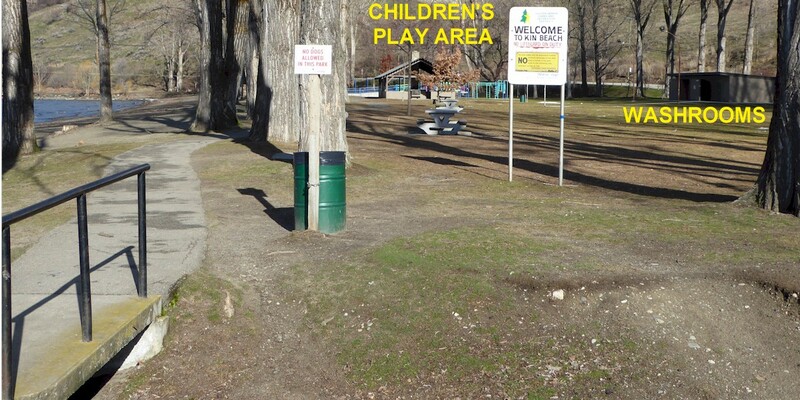 You will find a beach, playground, washrooms. Food vendors are often present in high season. 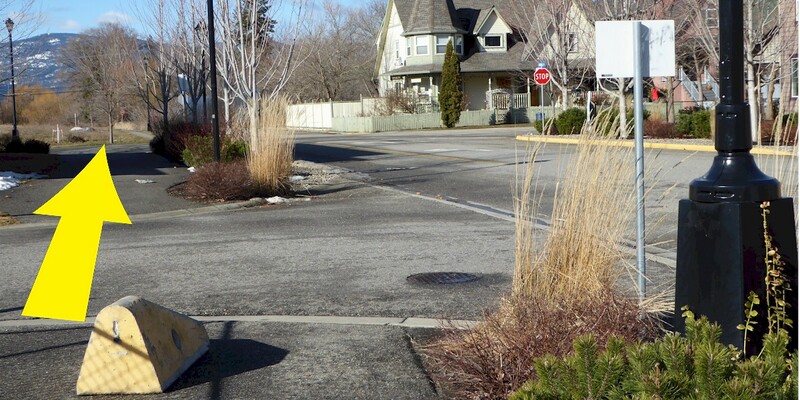 You may wish to pack a lunch or buy one along the way – please see the route notes for details. Proceed S on 34th St. to 30th Av. W on 25th Av. 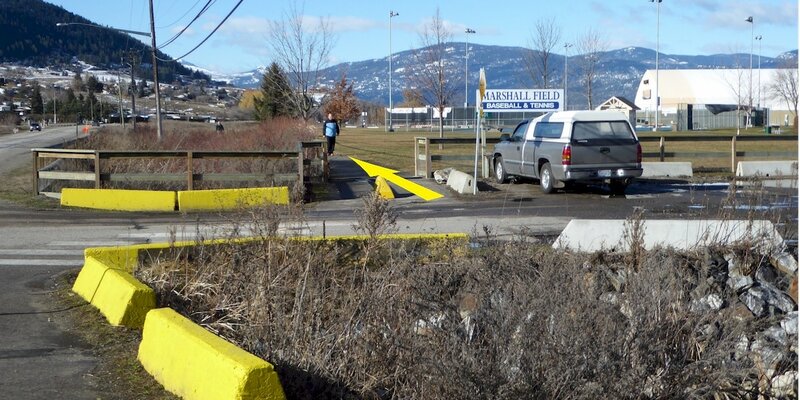 paved multi-use trail ​to 43rd St.
.At 3.39 Km, Pedestrian Crossing to North side of 25th Av. 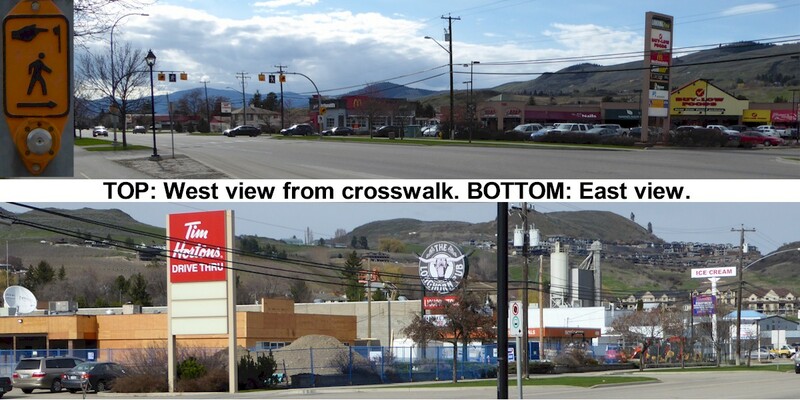 Location of Buy Low Foods, McDonalds, Tim Hortons, Subway, an Ice Cream kiosk and the Longhorn Pub. 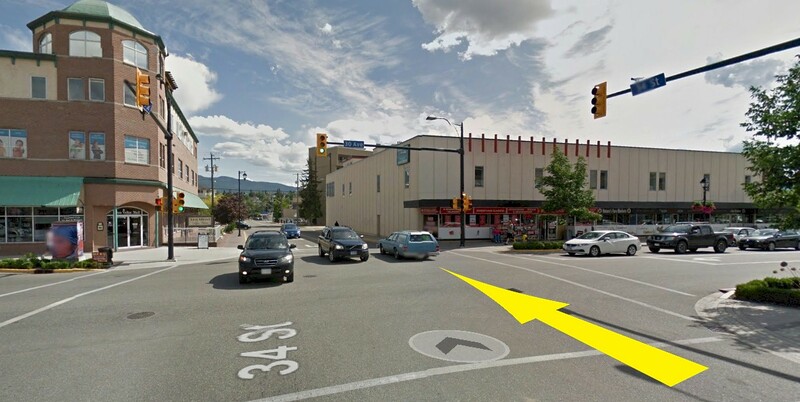 The name of 25th Av changes to Okanagan Landing Rd. 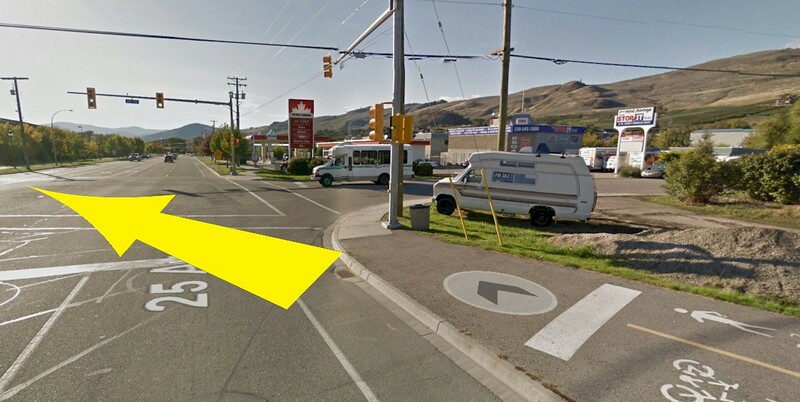 At 5 Km, cross to North side of Okanagan Landing Rd. 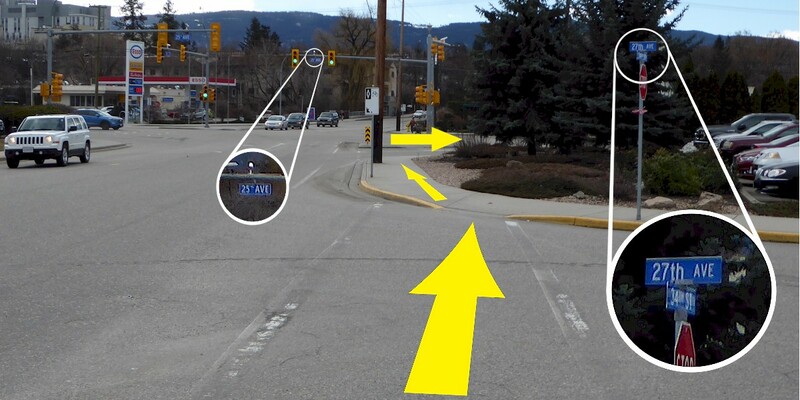 This is also an excellent place to turn around to complete a 10 Km ride. At 5.50 Km, enter Marshall Field and follow path as it winds to the right. 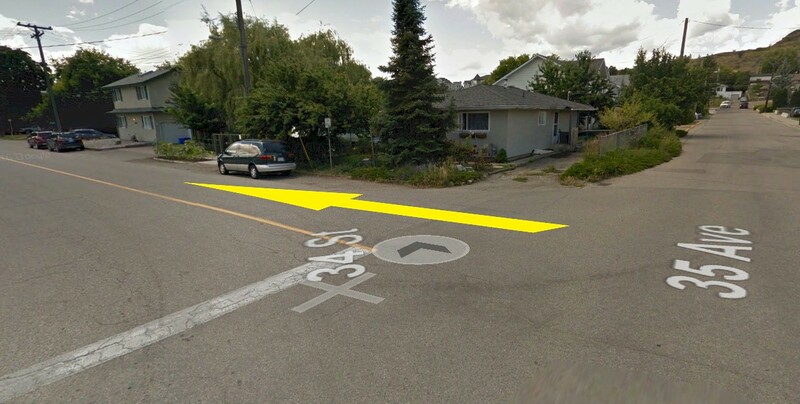 At 6.30 Km, leave pathway cross unnamed street (Cummings) continue on Marshall Rd. At 6.42 Km, Right at Lakeshore Rd. 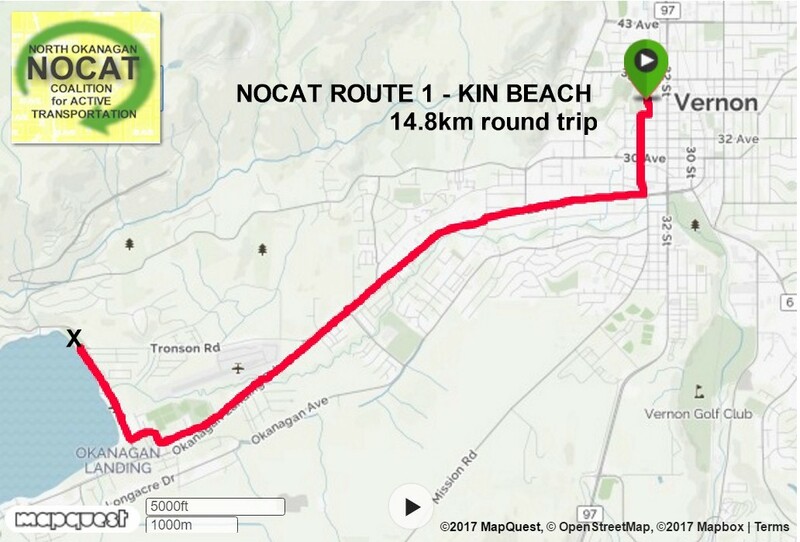 At 7.39 Km, arrive Kin beach. Bike racks beside children play area. Food trucks in season.